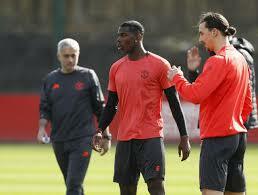 Man Utd ‘in trouble’ with injuries – Mourinho – Royal Times of Nigeria. Manchester United’s mounting injury problems mean they are “in trouble” going into the season’s decisive weeks, according to manager Jose Mourinho. 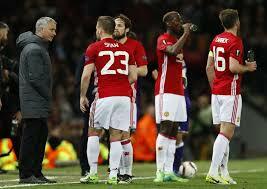 Mourinho lost Marcos Rojo and Zlatan Ibrahimiovic to injury during Thursday’s Europa League quarterfinal win over Anderlecht, the pair joining Phil Jones, Chris Smalling and Juan Mata on the sidelines. Mourinho hopes Wayne Rooney will quickly rediscover match sharpness following his return from an ankle injury and believes Mata could play again despite previously suggesting his season was over. United travel to Burnley in the Premier League on Sunday, when victory will take them to within a point of Manchester City, who welcome them to the Etihad Stadium next Thursday. City, who play Arsenal in the FA Cup semifinals on Sunday, occupy the fourth and final Champions League berth. United can also qualify for the competition by winning the Europa League.